The all new AMD’s Ryzen 7 1700X was tested against its price equivalent counterpart, which is the Intel Core i7 6800K in 10 different games. 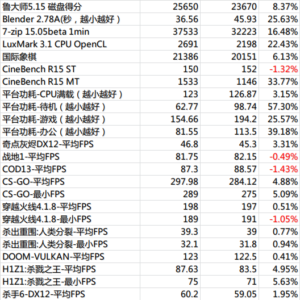 This information comes from an early Chinese review which features a lot of other tests including one of the very first power consumption figures of Ryzen. Despite the four more threads, two more cores, a lower TDP and higher clock speeds, the Ryzen still costs $399. The Ryzen 7 1700X is the AMD’s direct competitor to $420 Hexacore(6-core) Intel Core i7 6800K. 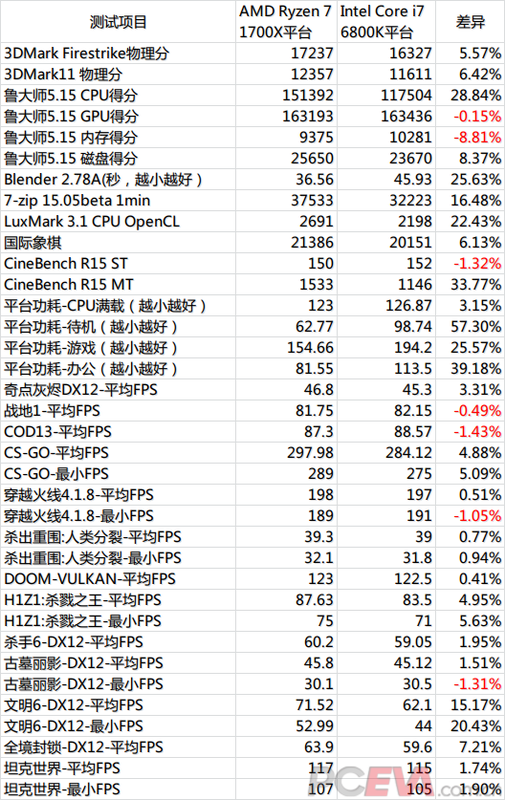 If all these benchmarks are any indication, we may be looking at another incredible performer that not just outperforms the 6800K but also does it with a lower power consumption mark. Before we dive deep into the numbers I would like to quickly remind everyone that has to be taken with a grain of salt. These results are by no means official. If all these benchmarks are to be believed this Ryzen 7 1700X will be a fantastic gaming CPU. At the very least if we compare it to its direct Broadwell-E competition from the Intel, it is still great at a performance. However, the best part of all of this is the Ryzen’s power consumption measurements.